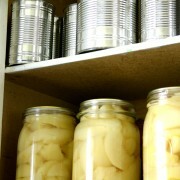 Canning is a simple way to preserve your fruits and vegetables. Here are some methods to get you started. 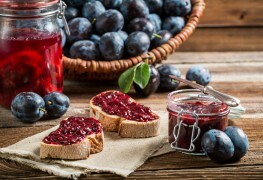 In this method, preheated jars are filled to overflowing with fruit and syrup that is as near to boiling temperature as possible, and then sealed. 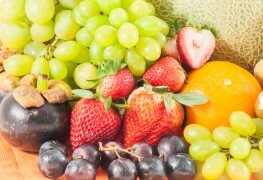 Although the appearance of the fruit may not be as attractive on the shelf as produce processed by the boiling-water bath method, the results are just as good to eat. Jars can be heated in the oven, in a sink full of very hot water, in the dishwasher or can be part-filled with water and heated in the microwave. Strawberries are just one of the many delicious fruits that can be transformed into jams and syrups and stored away for future use. 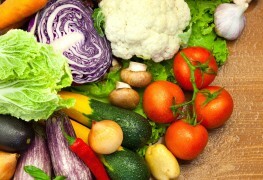 For different flavours, add herbs, spices or wine to the fruit or combine different types of fruit. Fill a deep metal pot with hot water, load jars into the basket and lower into water. There should be enough room between jars for the water to circulate freely. Add boiling water to the pot. Do not pour the water directly onto the jars. 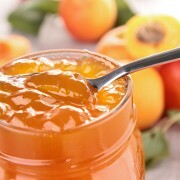 It is not necessary to completely immerse jars but they are best covered to neck level. Use a thermometer to check that the water stays at a temperature above 85°C (185°F). Turn up the heat to bring the water to a rapid, rolling boil and start timing. Reduce the heat, but still maintain the water at a rapid boil. Do not let the level drop but add more boiling water if needed in order to maintain the temperature. Processing is complete when the temperature in the centre of a jar in the middle of the pot reaches 85°C (185°F). Remove the jars immediately with tongs. Check that lids are firmly in place. Leave the jars to cool for 24 hours. Check for an airtight seal by standing upside-down for an hour; leaks or bubbles indicate an imperfect seal. 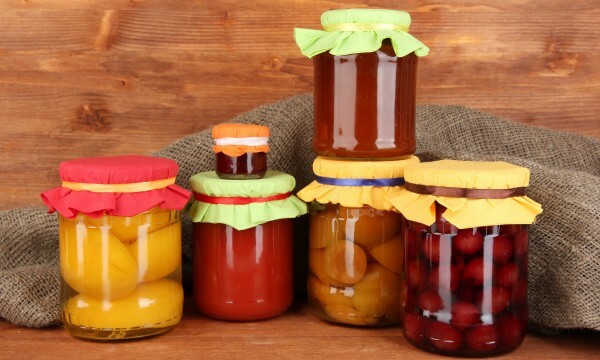 Two commonly used jar designs are a clip-top jar and a self-sealing cap, or screwtop. A clip-top jar has a rubber ring and is a standard commercial preserving kit jar. Clips are removed after the jar cools. A self-sealing cap consists of a lid with a sealant and a screw-on band that holds the lid tightly in place. The band can be reused but not the lid. A glass jar and lid with a wire bail (or wire clamps) is a traditional style rarely available; decorative replicas should not be used for bottling. 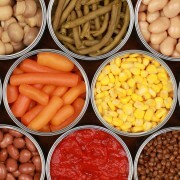 Help your food last longer with these simple methods and enjoy some delicious preservatives today!